PTC is a clinical entity of uncertain etiology characterized by intracranial hypertension. The syndrome classically manifests with headaches and visual changes in women with obesity. Traditionally, imaging ruled out secondary causes of elevated CSF pressure but now may reveal findings frequently seen in patients with PTC, including the following: flattening of the globe, an empty sella, an enlarged ONS, protrusion and enhancement of the optic nerve head, and increased tortuosity of the optic nerve. Novel imaging methods, including MR venography, have additionally identified sinovenous stenosis as a potential indicator of PTC. Several formalized criteria for IIH exist in the literature and are subject to extensive debate. The Modified Dandy Criteria first incorporated the use of CT in the diagnosis of IIH, primarily as a means of excluding occult causes of intracranial hypertension previously missed in the era before diagnostic imaging.9 Friedman and Jacobson7 updated these criteria (Table 2) to reflect the advances of MR imaging and the characterization of other etiologies of intracranial hypertension such as venous thrombosis. In keeping with enhanced estrogenicity in the obese, others propose endocrinologic dysregulation leading to a prothrombotic state in obesity and, similarly, in pregnancy, as the pathway that promotes PTC.34 Other studies note increased leptin levels in obese patients with IIH compared with both obese and nonobese controls,35 while another group did not find significant differences between leptin levels of patients and controls.36 A recent study found similar CSF leptin levels in patients with PTC but noted significantly increased CSF levels of the inflammatory cytokine CCL2.37 Still another divergent explanation for obesity in PTC is that intracranial hypertension leads to hyperphagia; according to this theory, obesity is the result rather than the proximal cause of PTC.38 However, if PTC was the cause of obesity, one would expect more women to present with symptoms of increased ICP before weight gain under this theory. Thus, while obesity is long-established as a substantial risk factor for the development of PTC in women, it is uncertain whether the exact mechanism of this increased risk is related to a prothrombotic state, enhanced estrogenicity, inflammatory cytokine expression, endocrinologic dysfunction, or some other yet-to-be-ascertained mechanism. Therapeutic lumbar puncture is another common treatment method and addresses the issue of elevated CSF pressure directly by reducing it immediately; 1 older study suggests that the effects are short-lived, with a return to initial pressure within just >1 an hour.50 There is little published evidence comparing lumbar puncture with medication or other treatment modalities. 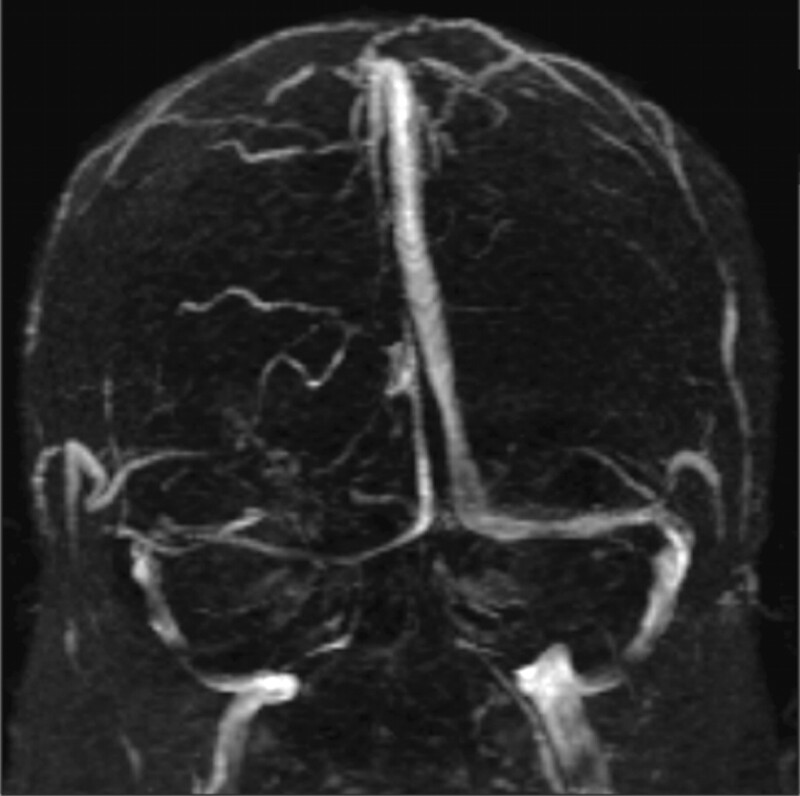 Some groups propose the use of venous sinus stent placement to treat IIH on the basis of several imaging studies showing stenosis of the cerebral venous sinuses and the presumption that venous outflow obstruction constitutes the underlying etiology of most cases of IIH.24,55 One group at the University of Cambridge reported success with 5 of 12 patients rendered asymptomatic and 4 of 8 patients demonstrating resolution of papilledema after venous sinus stent placement.55 Conversely, another group cited 3 cases of restenosis to counter the belief that stent placement is a universally applicable procedure in IIH; they argued that stenosis in IIH may be the result of the elevated ICP itself and not the cause of the increased ICP.56 Another researcher alleges that restenosis following stent placement is the result of failure to support all of the compliant portions of the venous sinus.57 Notably, the retrospective nonrandomized noncontrolled nature of these studies substantially limits objective assessment of the relative success of any of these treatment attempts. Historically, imaging of patients with PTC served the purpose of excluding other pathology responsible for symptoms of increased ICP.58 Some of the earliest radiologic investigations of PTC demonstrated evidence of decreased ventricle size and sella turcica demineralization, thought to be a late manifestation of increased ICP, on plain film skull x-ray examination.59 The concept of decreased ventricle size as a sign of PTC emerged from these early studies.11,45 Early CT studies enabled clinicians to evaluate intracranial masses before lumbar puncture.58 Said and Rosman cautioned against using CT alone, which has the potential of missing important pathology that may explain increased ICP, especially in evaluating pediatric patients.60 The advent of MR imaging advanced the imaging paradigm in PTC from simply using imaging to rule out other processes (eg, space-occupying lesions) to detecting signs thought to indicate PTC itself. The American College of Radiologists, in their most recent appropriateness criteria, recommended the use of fat-suppressed contrast-enhanced MR imaging of the brain for the evaluation of any disorder involving vision changes.61 Several neuroimaging findings have been put forth as signs supporting intracranial hypertension or even more specifically PTC. Estimates of the occurrence, sensitivity, specificity, and relevance of these imaging signs vary widely in the published literature and clinical practice and are summarized in Table 4. These vast ranges of reported statistics and anecdotes most likely result from the varying effort in detecting particular signs at the expense of potentially ignoring other findings and technical differences (particularly in MR venography). The “empty sella” sign (Fig 1) is associated with the longstanding effects of increased ICP and is thought to result from a downward herniation of an arachnocele through the diaphragma sella.45,62 It was 1 of the first signs noted on plain film x-ray examination and subsequently on early MR imaging studies.59,63 The term “empty sella” should be reserved for studies in which the pituitary gland is not visible, and these cases tend to be later manifestations of increased ICP.64 There is a wide spectrum of pituitary height changes; thus, many cases of empty sella may, in fact, be better described as a partially empty sella or a compressed pituitary gland. The wide range of sensitivities and specificities reported reflects this ambiguity. 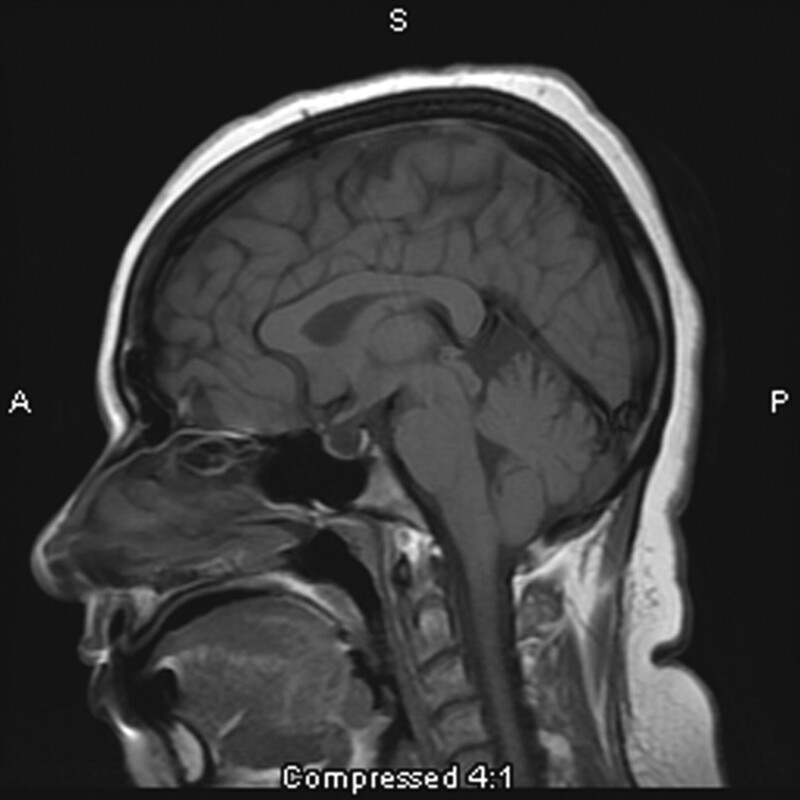 This 31-year-old woman presenting with headache is found to have an empty sella on sagittal T1-weighted MR imaging. A narrowed right transverse sinus is noted in this 32-year-old woman, seen on MR venography, in addition to ONS enlargement and a partially empty sella on axial MR imaging. Protrusion of the right optic nerve head and horizontal tortuosity of the optic nerve are seen in this 21-year-old woman on axial T2-weighted MR imaging. Clinically, the patient presented with headaches, vision changes, and papilledema noted on examination. A, The ONS is widened with expanded CSF hyperintensity surrounding the optic nerve, seen on axial T2-weighted MR imaging in conjunction with posterior flattening of the globes. ONS widening is thought to coincide with papilledema, which is seen in this 27-year-old woman who presented with headaches. B, Coronal T2-weighted MR imaging in a 55-year-old woman with headache demonstrates increased peri-ONS space marked by hyperintense signal intensity surrounding the optic nerve. Optic nerve tortuosity (Fig 3) has been associated with increased ICP; the distal and proximal points of fixation of the optic nerve enable it to kink freely in its course to the globe on protrusion of the intracranial contents under pressure.62 The sensitivity of observing optic nerve tortuosity in either the vertical or horizontal planes is dependent on section thickness. Horizontal tortuosity is thought to be less frequently visualized but more specific to intracranial hypertension. Yet another hypothesized imaging indicator of IIH seen on MR venography is increased total blood flow.78 In support of this finding, Bateman78 noted a 46% increase in total blood flow in 5 patients with IIH and decreased blood flow in 7 patients, with secondary intracranial hypertension due to thrombosis and arachnoid granulation in 1 patient. As with many research inquiries, this form of measurement is a relative calculation of blood flow in patients compared with controls and, as of yet, has no direct clinical application for evaluating patients with suspected PTC. MR imaging measurement of intracranial elastance and its correlation with ICP is another technique that may prove fruitful in averting a more invasive measurement of ICP through lumbar puncture.79 Unfortunately, this imaging technique has only been studied in a limited population of healthy controls and those with chronically elevated ICP, as well as in baboons; moreover, complex calculations to correlate the elastance index with ICP preclude clinical use at present.79 If validated, this method would greatly improve the feasibility of repeated measurement of ICP as part of routine evaluation following treatment. In evaluating patients with headache, clinicians frequently order routine brain MR imaging studies; thus, the radiologist must be cognizant of possible indicators of PTC on axial T2-weighted images as discussed in this article. If there is an additional clinical or imaging indication to suggest a greater likelihood of PTC, we recommend the addition of coronal T2-weighted imaging of the orbits to assess ONS widening and MR venography to evaluate venous sinus thrombosis, sinovenous narrowing related to PTC, or congenital narrowing of the venous sinuses. PTC is a poorly understood clinical entity with a variety of putative mechanisms, including excessive CSF production, impaired CSF resorption, and obstructed venous outflow. 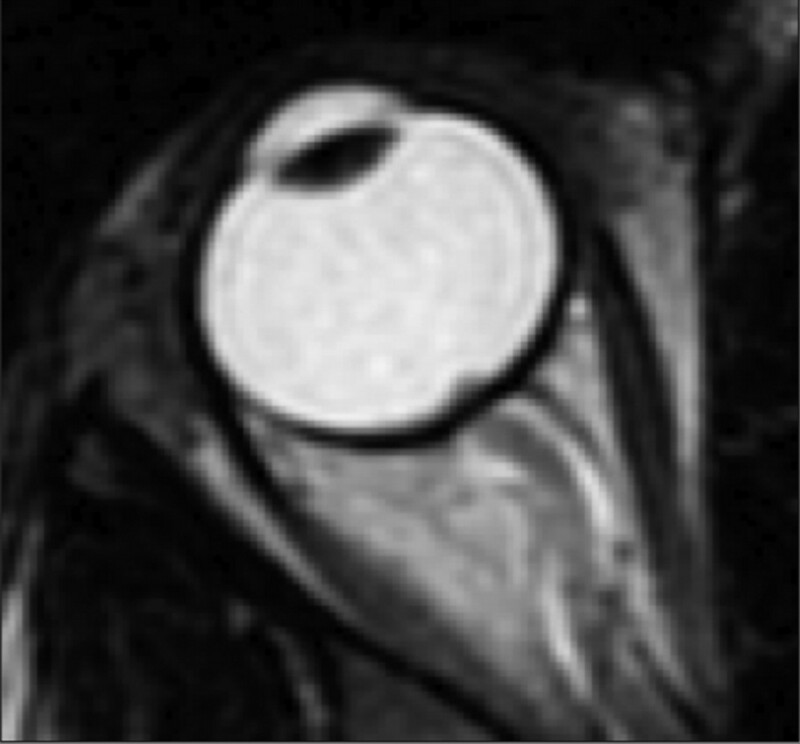 If PTC is clinically suspected, patients should be imaged by using an orbital MR imaging study to rule out secondary causes of intracranial hypertension as well as to assess signs frequently seen in PTC, including flattened posterior globes, increased ONS width, empty sella, increased tortuosity and enhancement of the optic nerve, and intraocular protrusion of the optic nerve head. Many, additionally, advocate MR venography to detect sinovenous stenosis, which has been seen in many patients with PTC. Whether sinovenous stenosis is the cause or the result of intracranial hypertension remains unresolved, and the issue of therapeutic stent placement in the venous sinuses is contentious. Much more in the way of randomized controlled clinical trials is needed in the study of this elusive condition.